Spotted in one of the NewsLink stores at Sydney Airport when I was coming back from the NSW Writers’ Centre Speculative Fiction Festival (more on that later). 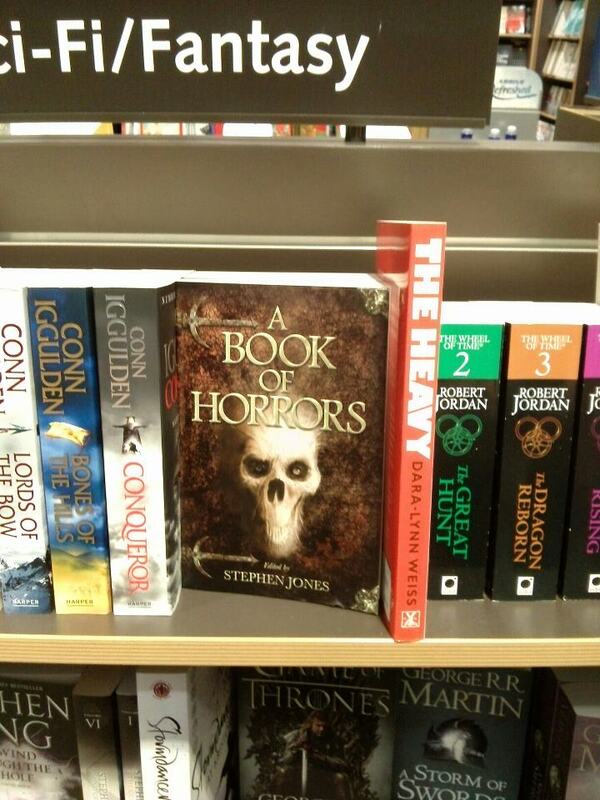 Makes me very happy to see A Book of Horrors out in the wild. 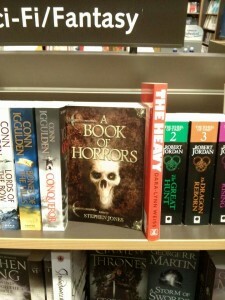 This entry was posted in News and tagged A Book of Horrors, jo fletcher books, Lisa L Hannett, Midnight and Moonshine, NSW Writers' Centre Speculative Fiction Festival, stephen jones. Bookmark the permalink.